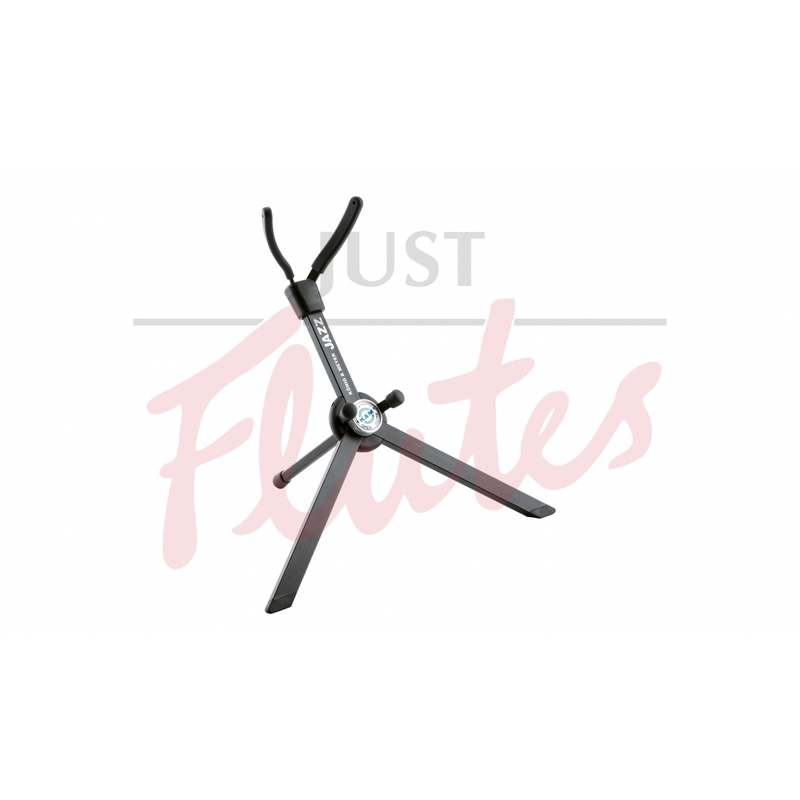 Practical, easy to use and stable stands for alto and tenor saxophones. 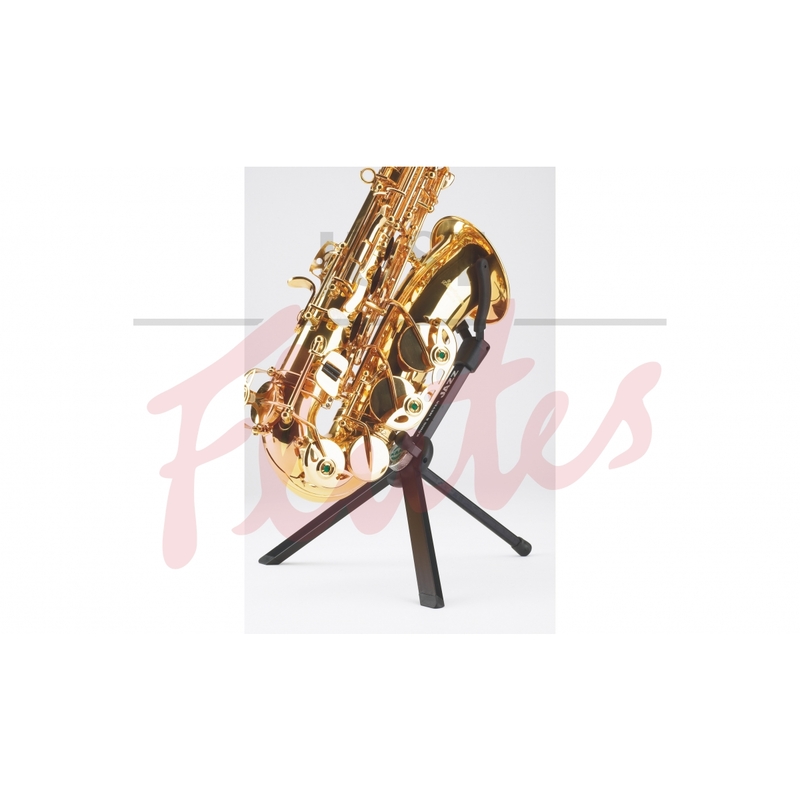 Solid square-type aluminum tubes with a large central locking screw, protective rubber bumps where stand connects with the saxophone body and the bell. Embedded foot end caps. Folds compactly and can be transported in the supplied velour bag in the saxophone bell.